I've just released a public test version of DOSBox 0.73 for the Dingoo A320 and Ben Nanonote. Whilst I initially did most of my testing with the A320 I ended up doing my testing primarily on the Nanonote which is perfect for this kind of emulator. See this thread on gp32x.com for information. A new port of the latest version (r36) of OpenJazz for the GP32. Everything should be working okay and it runs quite nicely with sound and music playing. 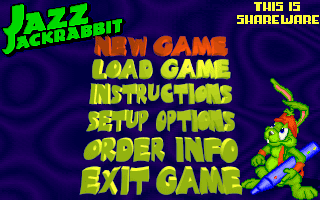 I've included the shareware version game, however if you have the full CD version, I recommend using this for the extra levels and music! The DIngoo A320 version of Giana was pretty straight forward (except for a little SDL bug) but that got me thinking - how well would it run on the GP32? Well it required a little more effort but surprisingly the port was fairly straight forward. And thanks to the GP32's very nice hardware, it runs very well indeed! Please check it out. I was playing around with Stella for Dingux - but was getting a bit annoyed with some little problems. The default keymaps weren't very good and the build seemed a little slow. Selecting some options also seemed to crash the emulator. So I decided to build my own version and share it around. It plays all my favorites at nice speed. 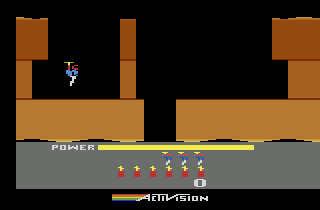 Pitfall II works but you will need to overclock to 420Mhz and it's still slow. What a beast! Big thanks to the Stella developers, it's really is a great emulator - all these screen shots were taken using the built-in snapshot grabber. 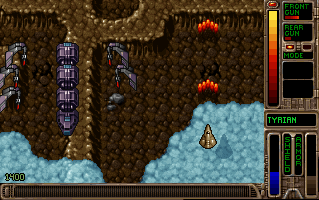 River Raid - best shooter. This screenshot taken with Phosphor mode one. 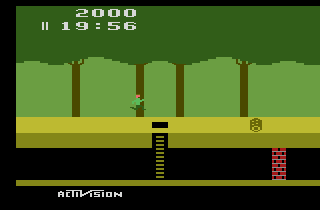 Pitfall - amazing for it's time. (X) - Next Tab. You need this to navigate some of the menus! Right Shoulder - Previous menu/option item (this doesn't work in the console menu). (B) - Not defined. I used it for snapshots. 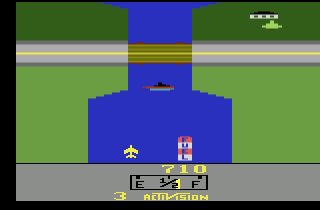 SELECT - Exit game, back to game selector. If you are updating from the previous build, delete your stellarc file first! The GP32 is still alive and kicking! Updated release of MAME4ALL for the GP32 v1.1. What's MAME4ALL? It's a fantastic handheld-optimized version of MAME, the multi-arcade machine emulator. MAME4ALL was originally ported and enhanced for the GP32 and GP2X by Franxis. * New graphics (by Antiriad). Please see the included whatsnew.txt and readme.txt for full instructions. 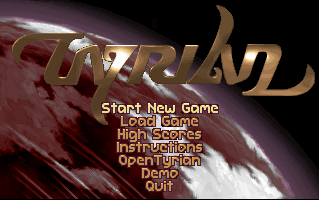 New Splash Screen (thanks to Antiriad, with some modifications). 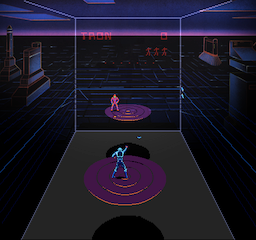 Discs of Tron now works complete with artwork (included in package).